Mi Raza: Portrait of a Family is a documentary film about a working class Mexican-American family dealing with the stresses of maintaining their cultural heritage in the face of the dominant Anglo society. Made by Susan Stechnij in 1973 as part of her thesis for a Master’s Degree in Anthropology from the University of Illinois, the film follows the daily activities of the multi-generational Navarro family living in Chicago’s Pilsen neighborhood. Each member of the family responds differently to the pressures of assimilation, revealing a complex family portrait that encapsulates broader issues of immigration faced nation-wide. Yet the personal details of their family life and culture place the film squarely inside the notion of Chicago as a city of multiple ethnic neighborhoods. 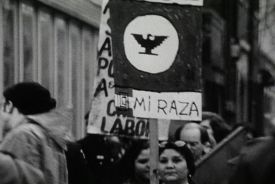 Mi Raza is invaluable as an example of a new style of ethnographic film making, an intimate portrait of working class domestic life, and a historical record of a community in a state of flux due to immigration and political upheaval. The film focuses on the family unit as the site where issues of immigration and acculturation are contested. The three generations of the Navarro family respond differently to these pressures: from the Grandmother Chepa who has little interaction with Anglo culture and still believes in the folktales of her youth, to her son-in-law Clemente Sr. a factory worker whose main contact is work, to the grandchildren who face constant pressure from the educational system to assimilate and forego their heritage. The film does not, however, describe a simple path to acculturation over time. Instead it records the family’s attempt to strike a balance between their Mexican cultural heritage and their life in America. This balance is portrayed as an outgrowth of the then emerging Chicano political awareness. The Chicano attitude is exemplified in shots of art classes at a community center where children build Aztec pyramids, protests over labor concerns at a grocery store, and a raucous school board meeting where activists (including mother Lola) attempt to force a recalcitrant school board to rectify the poor status of schools in Latino neighborhoods. Along with the charged relations with the outside world, the film captures the personal details of the Navarro family life. 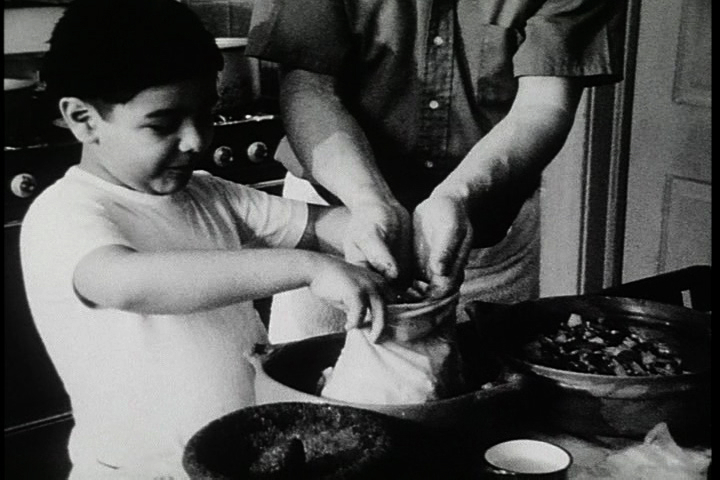 From the opening scenes of Chepa cooking breakfast for her husband to the simple, sweet celebration of Rosemary’s 15th birthday (quincenera) the film adopts the interior view of family life common to home movies made for private viewing. That the film can provide such intimacy is a testament to the openness of the Navarro family and the delicacy with which Stechnij approached the project. However, even in these private moments this ethnographic film records the transmission of cultural knowledge, as in the scene where Clemente Sr. teaches his son to make a special goat soup. Susan Stechnij previously worked as an applied anthropologist in the largely Mexican-American neighborhoods of Pilsen and Little Village. She often used an early portable video camera to record visual data in the community for her research and as a historical document for the Mexican-American community it depicts. This dual concern of creating work to be utilized both by scholars and the people studied informed the creation of Mi Raza. In the study guide that accompanies the film, Stechnij expresses the hope that [ethnographic] films made in the future will take into account the desires of community people, and the filmmaker whenever possible will make films that are not only about people, but also for them. Mi Raza exhibits this with its bi-lingual subtitles, translating the Spanish for the benefit of Anglo viewers, and the English into Spanish for those, like Grandmother Navarro, who only speak their native tongue. 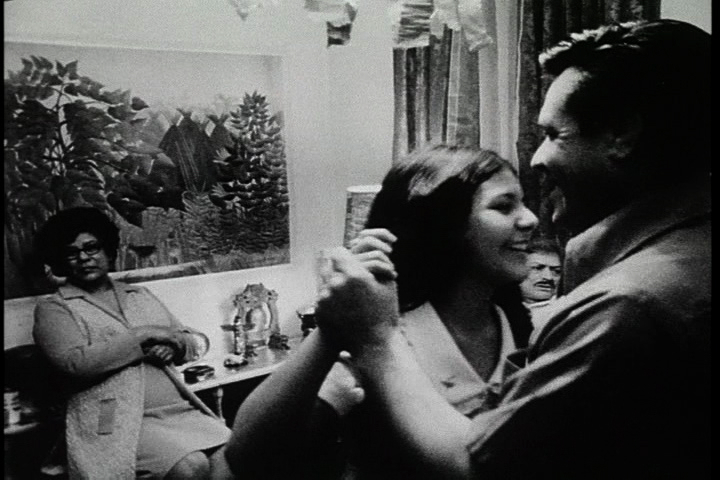 Mi Raza: Portrait of a Family is a fascinating hybrid of styles blending the ethnographic, the home movie, and the direct cinema documentary. It continues Chicago Film Archives’ mission of using film to tell the history of Chicago’s varied inhabitants and neighborhoods. It also furthers the CFA’s commitment to the study and preservation of Chicago’s documentary movement. More broadly, the film is relevant to telling the story of immigration in Chicago and therefore America. While the film deals with issues specific to its time – the Bracero Worker Program, the Chicano political movement – the film remains highly relevant to the current hot button issue of Mexican immigration. The only remaining print of the film suffers from a technical problem in which the sound and image are out of sync. 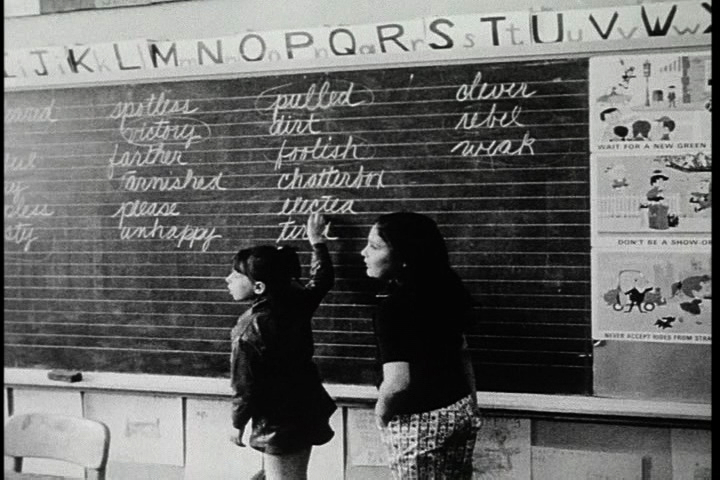 The 2008 grant awarded by the National Film Preservation Foundation and detailed lab work by Colorlab allowed for the creation of a new print and video copy, restoring the film and making this piece of living history available again to the Pilsen community and researchers for the first time in over 30 years.